I am trying to get enough people for a bus to Sandringham Flower Show on Wednesday 24th July leaving North Luffenham at 9 am and leaving Sandringham at approx. 4.30. This trip is open to all the villages. The cost will be approx. £22 50 including entrance to the show. Please ring Evelyn 01780720528 or Helen 01780720607 as soon as possible. This entry was posted in Clubs and Societies, General News, Good Companions on April 11, 2019 by North Luffenham. Wed May 2nd Wait and see. Wed july 4th The Village trip. Wed aug 1st Meal in the community centre 12.30pm. The Good Companions meet in the community centre at 2pm..
Yearly subs of £10 plus £1 a month for tea and cakes and free door ticket. There is also a raffle during the afternoon. The village trip this year is Holt and Sherringham. This entry was posted in Good Companions on February 6, 2018 by Tim Smith. North Luffenham Good companions are going on a river trip on the 18th May. We have one seat to spare if anyone would like to join us. The cost is £25 which includes 3hr trip on the river Trent, roast beef lunch, and coach fare. If you would like to join us —–ring Evelyn 01780720528. This entry was posted in Good Companions on May 14, 2017 by North Luffenham. Feb 1st Talk about future outings, get things sorted for the year. Very important that everyone attends if possible. June 7th Guide Dogs for the blind. July 5th Mile stones. Helen Crabtree Aug 2nd Meal with Allan on the organ. Nov 1st Snowman with Liliane. The Good Companions meet in the community centre on the above dates, 2pm to 4pm. Yearly subscription of £10 plus £1 a meeting which includes tea, cake and door raffle ticket. A separate raffle is also run during the afternoon. Outings to be arranged. This entry was posted in Good Companions on January 24, 2017 by North Luffenham. Please find attached the 2016 Programme for North Luffenham Good Companions. This entry was posted in Good Companions on February 2, 2016 by North Luffenham. Wed 5th Aug: Lunch starting at 12pm followed by Allan Black, music, sing a long, dance !!!! Wed 4th Nov: Christmas flower decoration, there may be an extra charge for this. Wed Dec 2nd: Christmas Lunch, to be decided. Cost £10 a year subscription. Plus £1 a month, which includes tea and cake and door ticket. A raffle is also run during the afternoon. There will be a charge for the lunch in August. Other trips will be run during the year, to be decided. This entry was posted in Good Companions on February 2, 2015 by North Luffenham. Wed 5th feb – decisions. maybe a quiz? Depending on time. 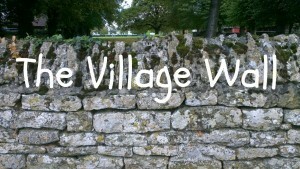 Wed 4th june – Village photos with Janet, bring your own too. Wed 2nd july – Visit to open garden at the Jetties. Wed 6th aug – Music with Allan Black. Wed 3rd sept – On the mission field. with Helen. Wed 1st oct – Off the wall. Wed 5th nov – Crafts. Wed3rd dec – Christmas Lunch. Wed 18th june is the village trip to Skegness. The Good companions meet at the community center at 2pm. The fees are £10 annual subscription, plus £1 per meeting which includes tea cakes and a door prize ticket. There is also a separate raffle to help raise funds. Outings to be discussed at first meeting. Everyone welcome, come and visit, decide if you want to join us. This entry was posted in Good Companions and tagged 2014 Calendar, Calendars on January 25, 2014 by North Luffenham. Wednesday 3rd July Talk entitled ‘Living with Eskimos’ by a local resident! In addition, the annual outing will be to Skegness on Wednesday 26th June. This is free to all over 60’s. Other activities include the opportunity to go a little further afield to venues such as: Downtown, Foss Park, Wisbech Rose Fair & the Theatre. For more details please contact Evelyn via the Good Companions contact form. This entry was posted in Good Companions and tagged Calendars, Events on June 2, 2013 by North Luffenham.